Vancouver, British Columbia, Canada is surrounded by coastal temperate rainforest. This online hiking guide aims to connect you with the astonishing local forests around Vancouver, BC. 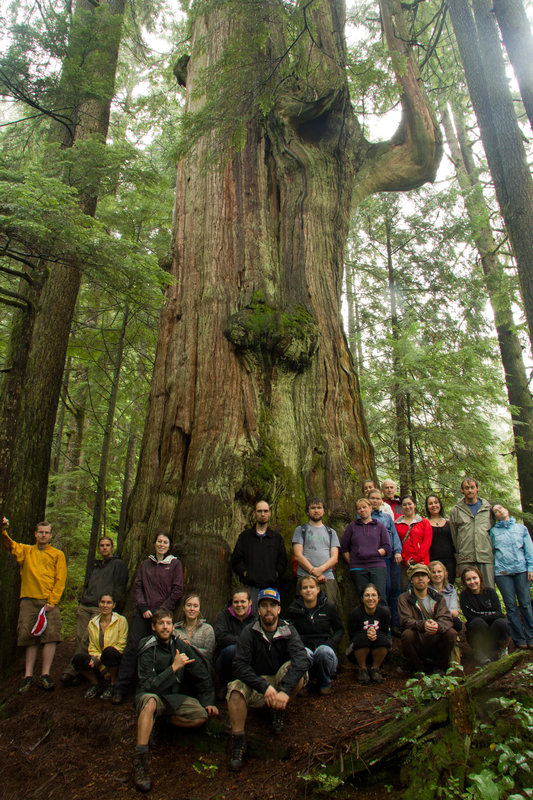 You’ll find stories and clear directions for visiting exceptional old-growth forests in the Vancouver area, such as Stanley Park, Queen Elizabeth Park, UBC and Pacific Spirit Park, Capilano Canyon, Coquitlam Watershed, and Kerrisdale Elementary School. Vancouver is a globally significant area for big trees. The city is surrounded by lush temperate rainforest that to this day contains trees over 1300 years old and up to 86 m tall. It is reported that the tallest trees on earth once grew in the Vancouver area before logging commenced in the late 1800’s. 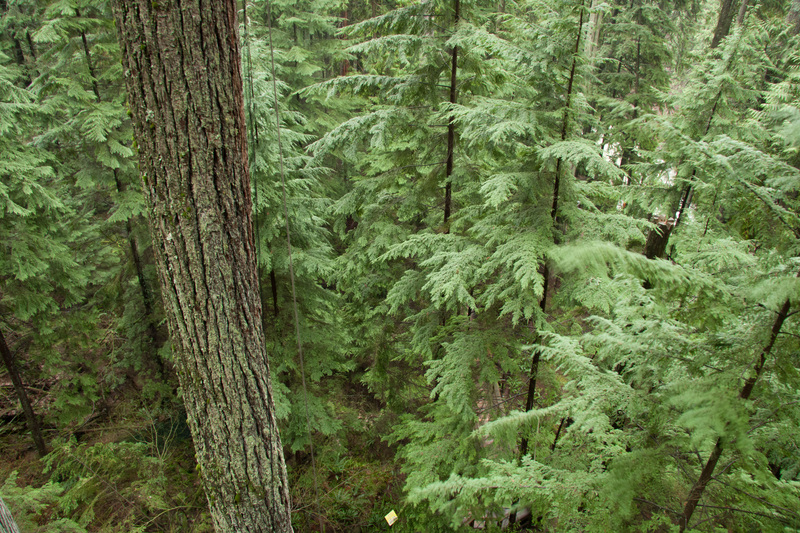 Of the 50 tree species native to British Columbia many of the largest, widest or tallest specimens of several species are found within Vancouver city limits. For example, there are record specimens of red alder and big leaf maple in Stanley Park. Others are nearby, including the giant black cottonwoods of Deroche, the champion amabilis fir on Black Mountain, the tallest Douglas-fir of BC in the Coquitlam Watershed, the widest western hemlock in the world in Lynn Valley, huge Pacific yews in Capilano valley, and the 65 m tall grand fir that can be easily seen above UBC. The remarkable forests around Vancouver are woven deep within the economic, cultural, and heritage fabric of the city. Nonetheless, many urbanites have gown disconnected from the forest, and I’m on a mission to change; explained here and in the video below. Few people know that there is a large old-growth forest area in UBC that contains 400+ year old Douglas-fir and some of the largest grand firs in the world. 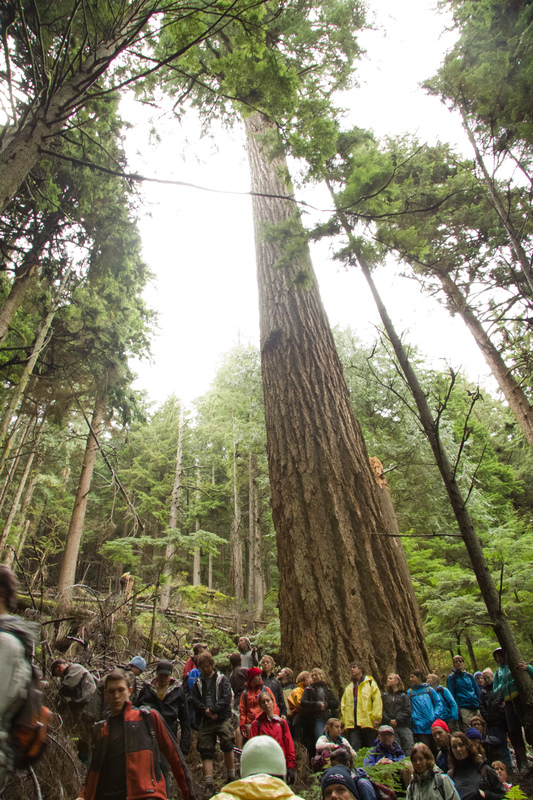 Find trees such as the giant grand fir seen here with the UBC hiking guide. Brother’s Creek Ancient Cedar Grove, West Vancouver. Some forests in this area are well over 2000 years old, many of them have no legal protection as parks. 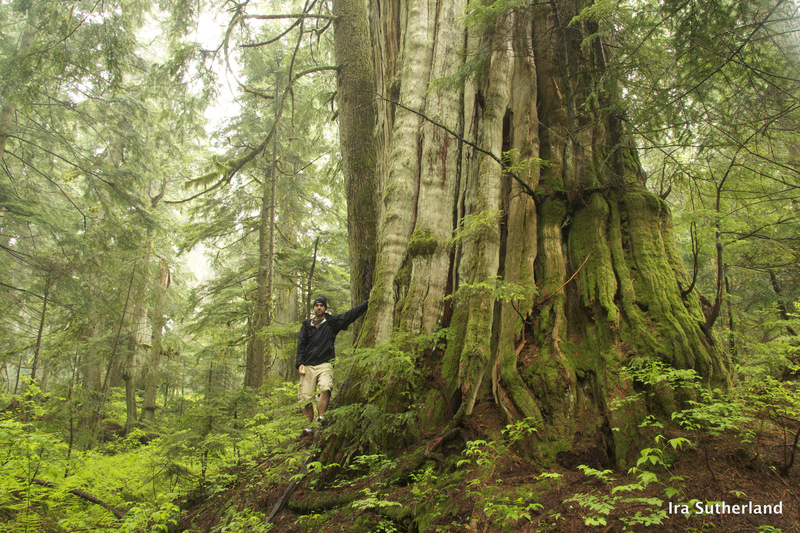 Lynn Valley, North Vancouver reportedly once contained the tallest trees on Earth. Most of the valley bottom was clear-cut but you can hike in to see this remaining 4m wide cedar. 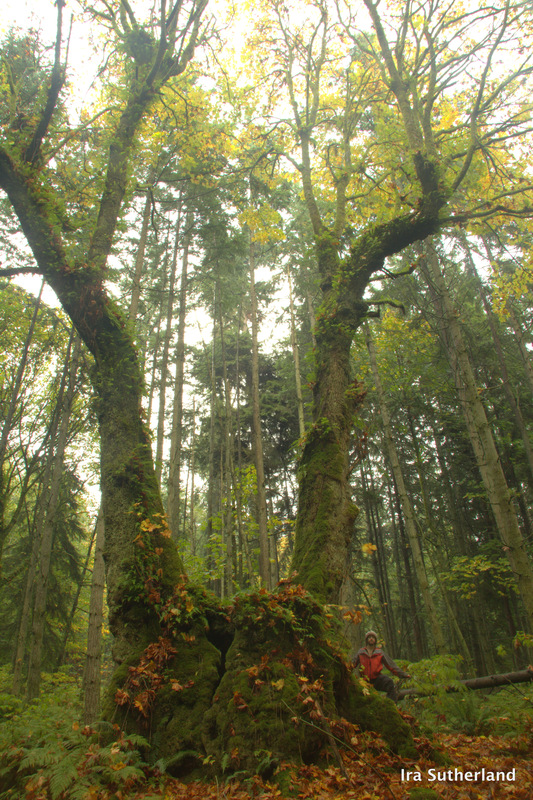 Here is a hiking guide to visit this tree by Outdoor Vancouver . Further up valley there is more old-growth, which I am beginning to document here for a broader overview of the valley’s big trees, and local big tree hunter Mick Bailey is also documenting his finds here. The Temple Giant (86m) located in Seymour Valley, North Vancouver is the third tallest Douglas-fir in BC. The majority of Seymour Valley has been logged but it is a large valley with many outstanding groves remaining. Here you can read about the group hike seen above. 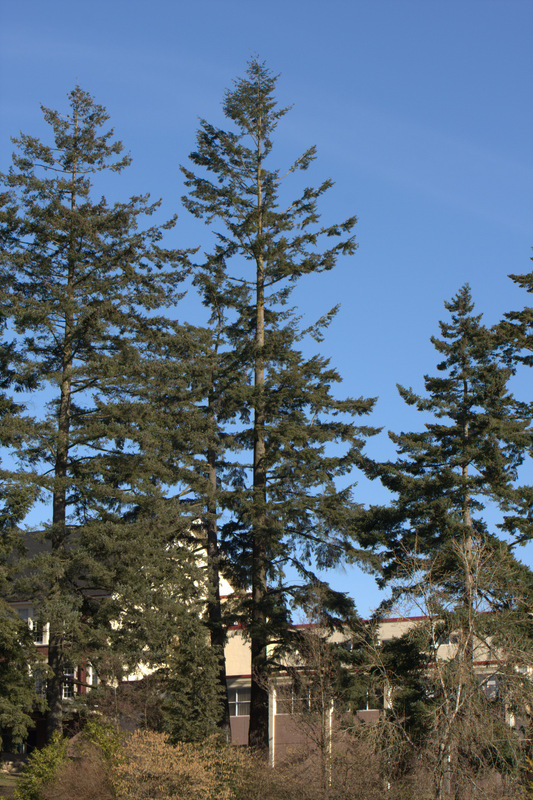 Kerrisdale Elementary School has a few large Douglas-fir up to 44.4m in height (shown here), but what is more interesting is the this area’s historical big trees. 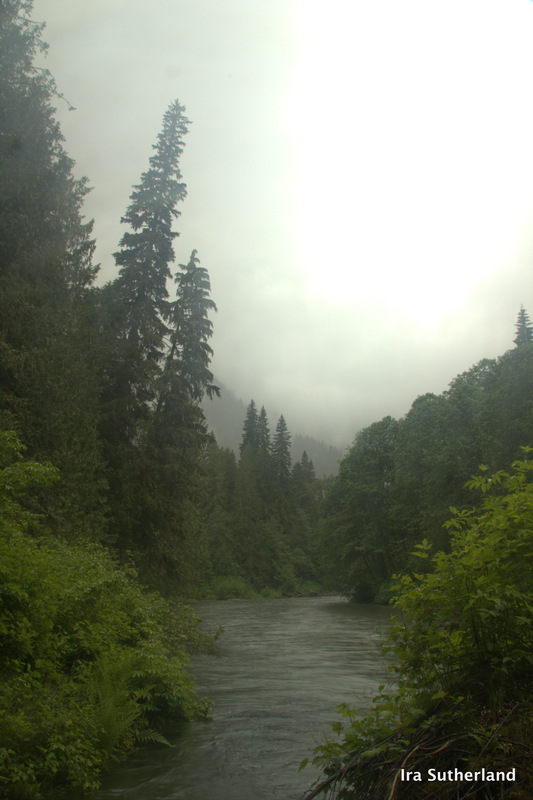 The Upper Chilliwack River is the last contiguous low elevation valley bottom old-growth forest in the Lower Mainland. In here is the world’s largest known grand fir (not shown here). The Meech Creek Giant was Canada’s tallest Douglas-fir tree until it died a few years back. The only way to see the dead standing giant of the Coquitlam Watershed is to book a free tour with Metro Vancouver.